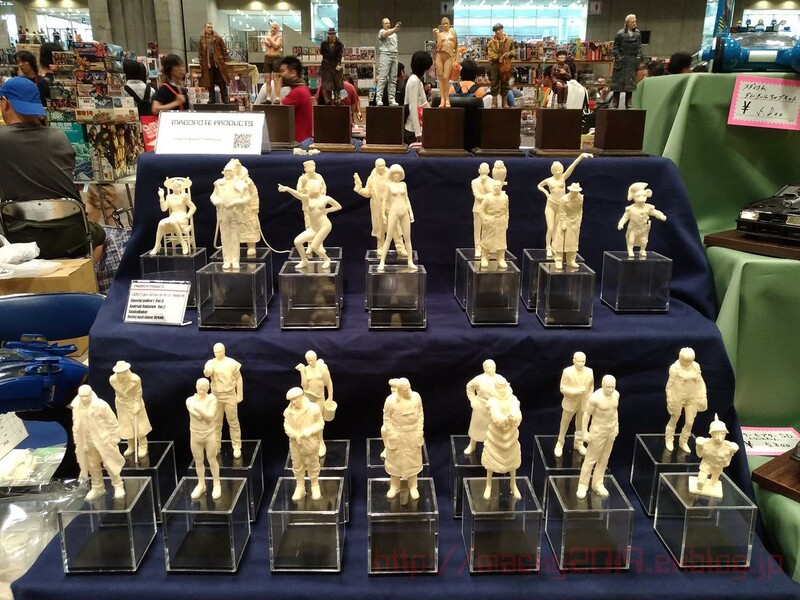 Propsummit.com a Blade Runner Prop Community Forum BladeRunnerProps.comView topic - 1/18 LA2019 Figure Collection set Vol.1-5 Resale! 1/18 LA2019 Figure Collection set Vol.1-5 Resale! Posted: Sat Dec 16, 2017 11:54 pm Post subject: 1/18 LA2019 Figure Collection set Vol.1-5 Resale! I will resell my figures. I am back ordering now at Hobby Link Japan. The arrival of figures is scheduled for January from the end of December. This product is a reproduction by professional. High quality. Posted: Sun Dec 17, 2017 6:57 am Post subject: Re: 1/18 LA2019 Figure Collection set Vol.1-5 Resale! How much are you selling them for and will you sell mixes? I wish painted models were available. The completed versions shown here look stunning and way beyond my skill level. The downside of these models is the price. Would love a full set but the price is prohibitive. Agree, I don't have the skills in this area, either. Beautiful figures for sure...price is indeed a factor, but I'll bet you anything that, in a few years, they'll be worth much more! Thank you for your interest in my figure. Price is Please look HLJ HP. Link error has been fixed. Detailed photos of figures are also on my blog. This figure is set sale. It does not sell with 1 piece. I am trying to figure out how those are packaged. I would be in for a couple of sets for sure. Set 1 I would take as offered. Can you mix and match a set of 4-8 figures ? I have to get me a set of these. Do you know if the Magonote Batty bust will be available also? We delivered goods to Hobby Link Japan!